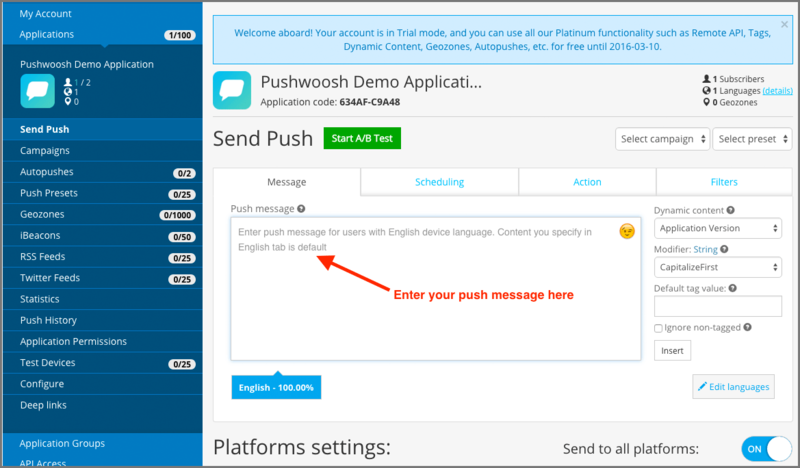 The main objective of this tutorial is to learn how to Integrate Pushwoosh SDK in iOS Application. 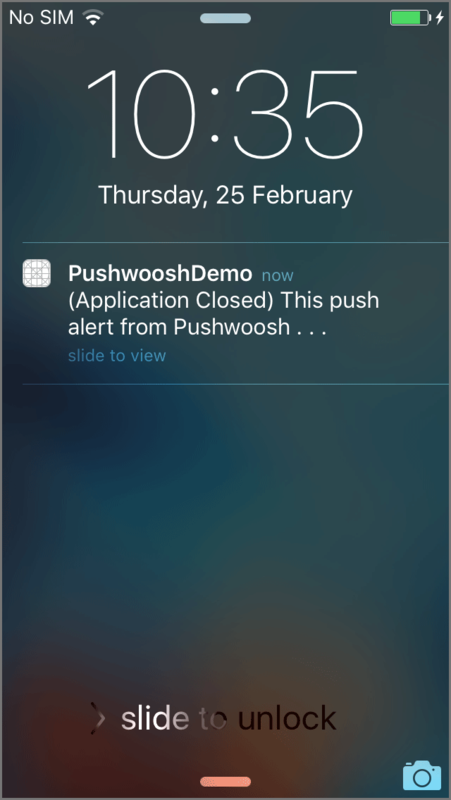 Push notification is a message alert delivered by a centralized server to an endpoint device. 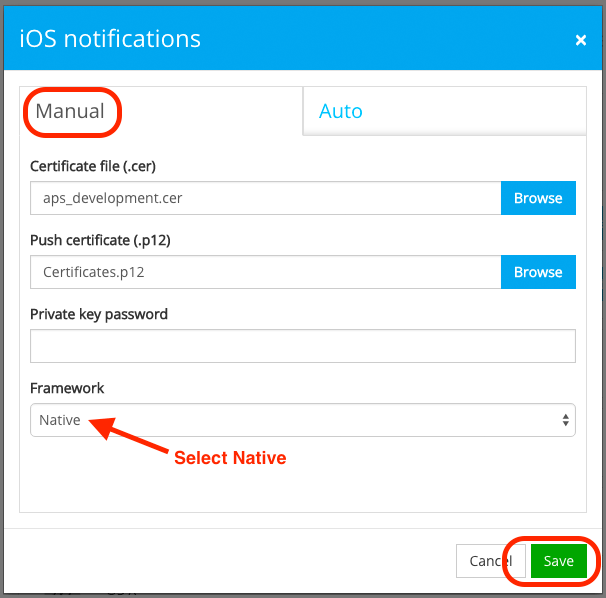 Push Notifications allows your application to notify users about some things. i.e message, score, results, events etc. 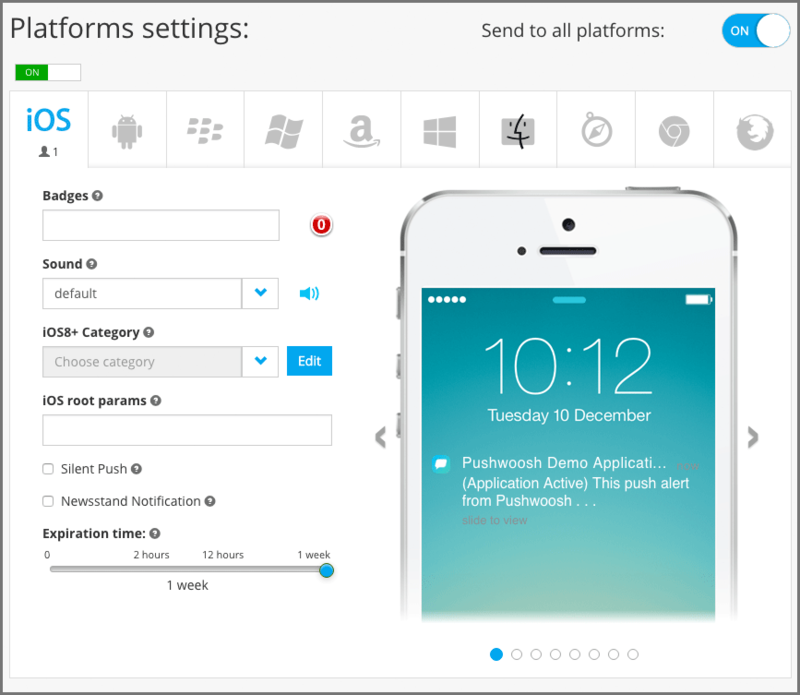 Pushwoosh is third party service for push notifications to registered devices with applications. It offers a variety of accounts and plans as per the requirement of the user. 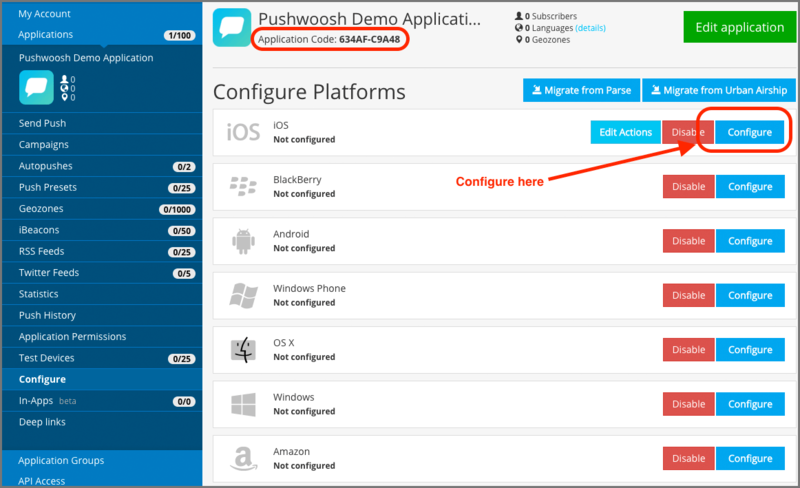 PushWoosh API is used to access and integrate the functionality of PushWoosh with other applications. 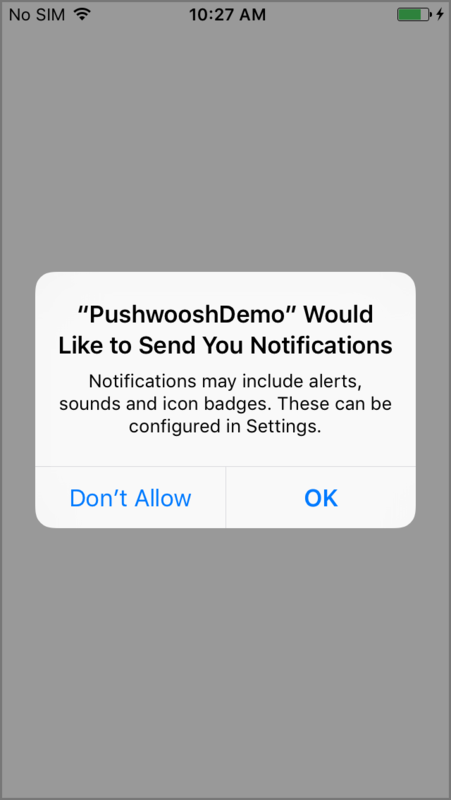 This blog post will help you integrate Push Notification Service in your iOS Applications & show how to send notifications using Pushwoosh Third party service as well. 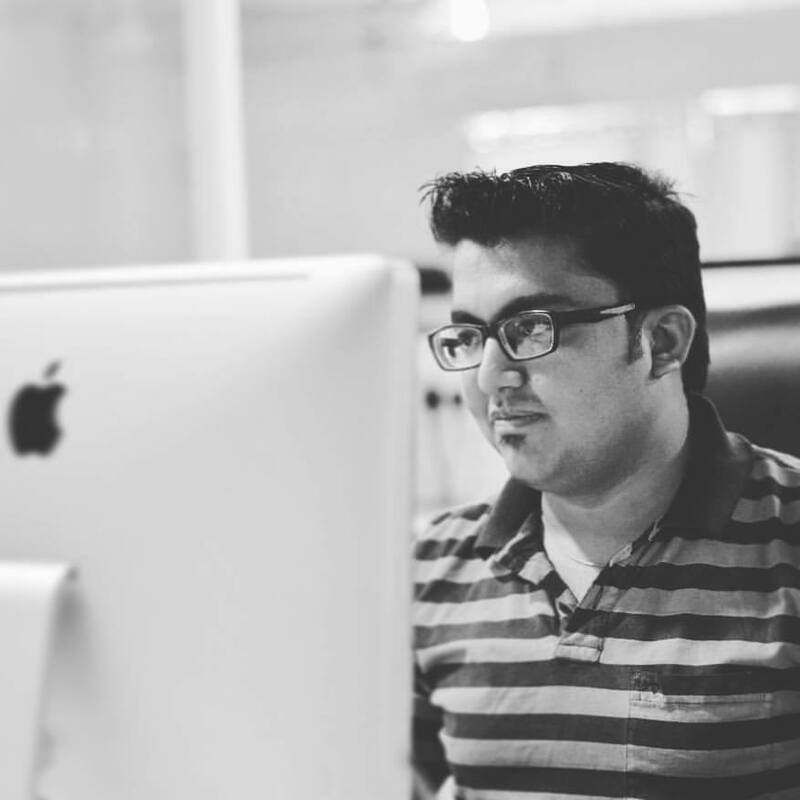 Here are some interesting iOS Blog Posts, that can help you learn iOS application development. Create a Pushwoosh account to access their services. Now, click on Start Now button and fill all the necessary information to Sign Up. If you already have a Pushwoosh account, login to your account. Now, click on Add New button, it will open the following screen. Now, give appropriate Application Title and click on Save Application button. Upload Icon if you wish. it’s optional. Choose iOS SDK in SDK Settings, I've selected Pushwoosh. Application code highlighted in above screen will be used in our application for Pushwoosh integration later. Click Configure button as displayed in above picture. You must have got the following screen now. Select Manual tab and browse your certificate file (.cer) and Push certificate (.p12). Enter your private key password for .p12 file which you already set while creating .p12 file. Now, go to Build Phases and Link Binary with Libraries. Now, add one key-value pair for Pushwoosh Application configuration in your Info.plist file as following. Here, the key is Pushwoosh_APPID with type String and Its value is 634AF-C9A48 which is generated in Step 3 (Application Code). 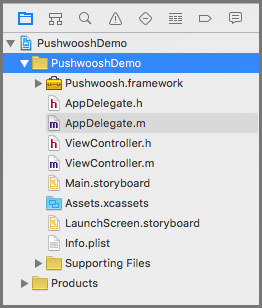 Now, configure Pushwoosh service in your iOS project through AppDelegate.m such as following. 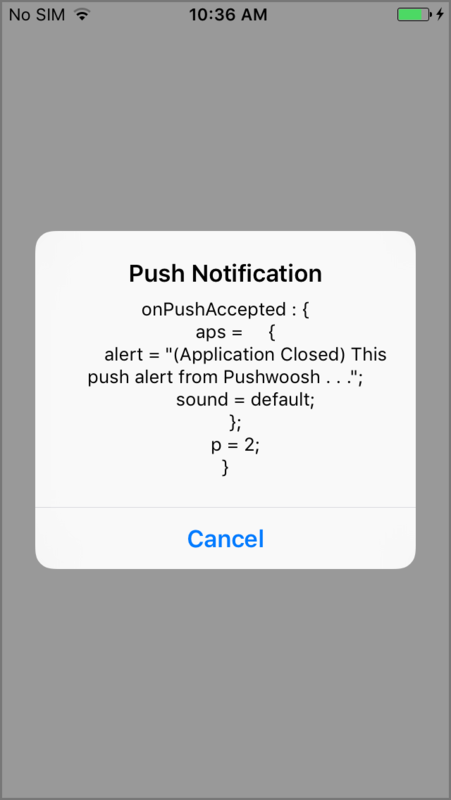 There are few methods provided by Pushwoosh in Pushwoosh.framework which helps you perform actions or to handle push notification which is sent by Pushwoosh Service. 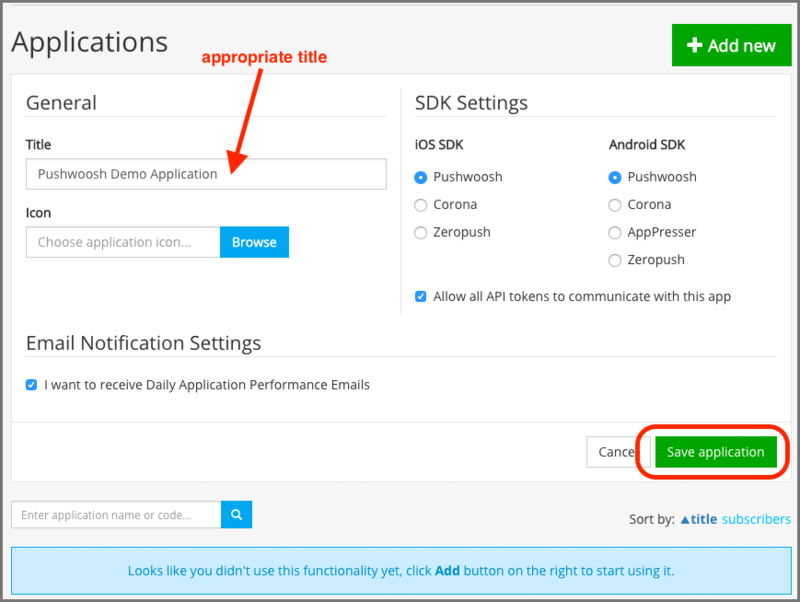 Here, we implement PushNotificationDelegate methods in AppDelegate.m file such as follows. Push Notifications does not work in Simulator. So, You must test this code/demo in iOS Device only. You can test Push Notifications in any of the iOS Devices(iPhone/iPad). Once you agree, As soon as you run an application, every time Push service will get your Device Token which is not visible to users. Go to your PooshWhoosh application. Enter your push message and select all other option as per your requirements. Make your Platforms settings as per your requirements. It will display output as above. Click on Woosh! button to send the Push. 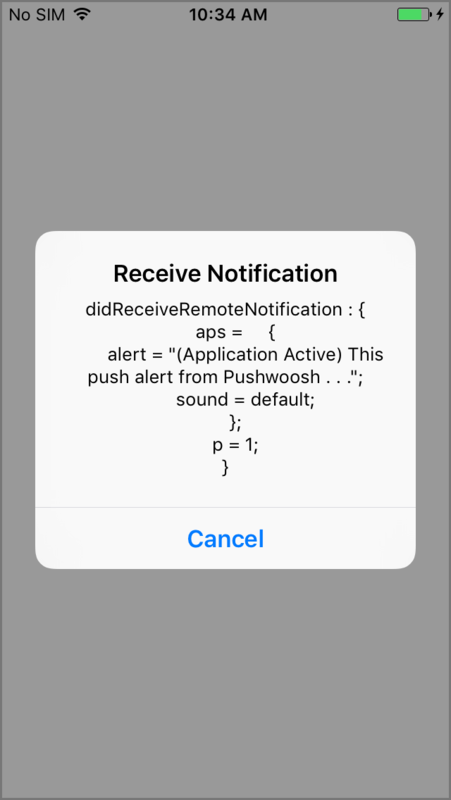 Each Output Screen will display UIAlertController message and its alert message starts with methods of PushNotificationDelegate delegate which is used to handle push notification sent by Pushwoosh. 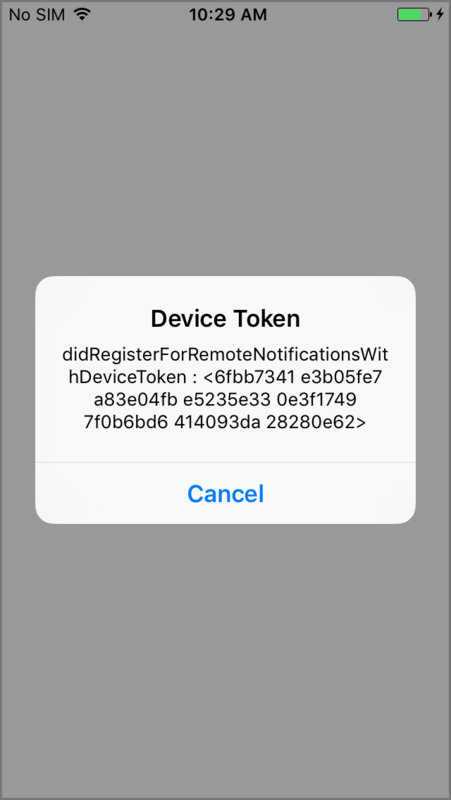 I hope you will find this blog post helpful while working with Push Notification in iOS. Let me know in a comment if you have any questions regarding Push Notification in iOS Application. Please put a comment here and we will get back to you ASAP.